Potted herbs don't just smell great but they are loaded with nourishing anti-aging compounds that can restore radiance and smooth skin, thicken your hair erase dark marks. Growing them is as easy as purchasing the seeds from your local garden center along with some potting mix and small flowerpots from Arizona Pottery of course! 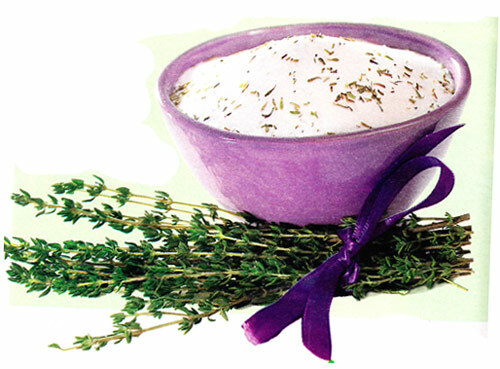 Potted Thyme: White up a purifying scrub. Dry 1 - 2 sprigs and remove the leaves from stems and light mash with spoon. Mix with 1 Tsp baking sod and a few drops of water to make a paste. Massage over clean, damp skin in small circles. Rinse and pat dry. Use 2 times a week. Enough for 1 treatment. Potted Rosemary: Everyone knows how great rosemary is in the kitchen but here is a recipe hair growth. Place 4 springs of rosemary in a clean jar. Pour 2 cups warm water over the springs. Infuse for at least 4 hours. Strain into a clean spray bottle. Then add 2 T of vegetable glycerin. Shake and mist over scalp and hair. Massage then style. Keeps 2 weeks in the fridge. Potted Parsley: Fine chop 8 washed parsley sprigs. Mash in a bowl with spoon. Cover with 1 c Hot water and steep 1 hr. Strain into spray bottle and chill in fridge. When ready, mist the liquid over cotton pads and place over closed eyes. Relax 15 mins. Erase dark under eyes. Not interested in starting herbs from seeds, then purchase the beginner plants from the store. All you need to do is repot them into a Arizona Pottery decorative or terracotta flowerpot. Just make sure the pot has a drain hole since all herbs need well draining soil. 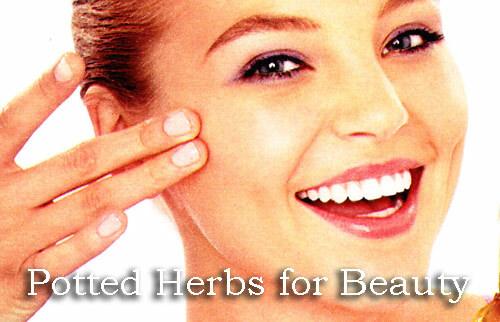 Keep them around the house for cooking, sleeping and all of the above beauty treatments.